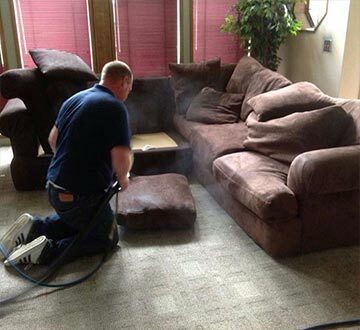 Definitive Difference Carpet Cleaning offers professional upholstery and carpet cleaning services in Everett, WA. Whether you need commercial, residential, or R/V carpet cleaning, you can count on us for quality work at an affordable price. New carpet can improve the appearance of any room, but how can carpet that is walked on every day continue looking new? To keep your carpet clean, it's necessary to vacuum regularly with a strong, well-functioning and properly-filtered vacuum cleaner. Unfortunately, due to traffic, children, pets and normal wear, carpet fibers inevitably become soiled, and a dull appearance results. No matter how much you vacuum, eventually you will need to call a residential carpet cleaning professional. Regular professional cleaning is as important to your carpet as having a trained mechanic perform routine tune-ups on your car. 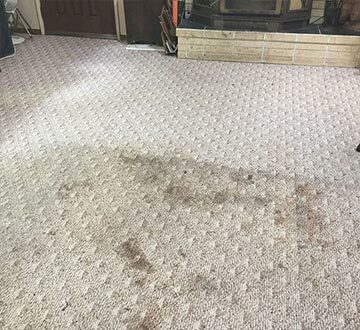 While your carpet may appear clean on the surface, periodic cleaning can remove what you can't see and help your carpet retain its fresh, beautiful appearance. Commercial carpet receives many times the traffic of typical residential carpet. That's why it's important to select (fiber, construction, pile design, color) and install commercial carpet that fits a building user's needs. 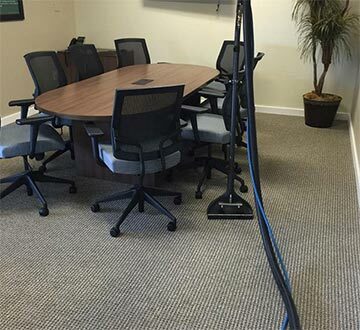 However, once that carpet is properly selected and installed, its durability and lasting beauty are highly dependent on the ongoing maintenance and commercial carpet cleaning. The first critical component in maintenance and cleaning is routine vacuuming coupled with rapid response to spots and spills. Carpet serves as a "sink" or collection point for everything that is tracked in or settles out of the air. Qualities such as sound absorption, slip resistance, and soil-trapping ability makes it the most desirable floor covering in many buildings. Ultimately, however, even the best-maintained carpet must be thoroughly cleaned to empty the "sink." To keep your furniture clean, it's necessary to conduct routine upholstery steam cleaning maintenance including vacuuming and immediate attention to spills, coupled with periodic cleaning by a certified technician every one to two years. Furniture and fabric manufacturers recommend that consumers not wait until severe soiling occurs before cleaning because the greater the soiling, the less the likelihood of restoring the fabric's original color, appearance, and texture. To keep your furniture clean, it's necessary to conduct routine maintenance including vacuuming and immediate attention to spills, coupled with periodic cleaning by a certified technician every one to two years. Furniture and fabric manufacturers recommend that consumers not wait until severe soiling occurs before cleaning because the greater the soiling, the less the likelihood of restoring the fabric's original color, appearance, and texture. First, you vacuum away the loose dirt and debris with a regular vacuum cleaner. Then, you spray a detergent solution on the carpet and extract it with a hot water extractor, also known as a carpet cleaner. 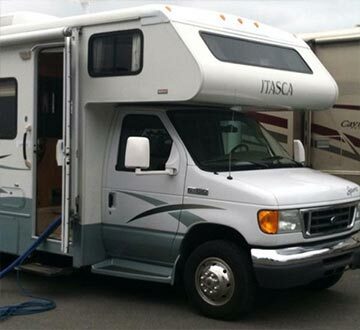 Selecting the right R/V carpet cleaning equipment is important. The machine should have strong extraction capabilities, as well as large solution and detergent tanks to enable interruption-free cleaning. Use the power of steam. There are many steam cleaners available on the market and the hot-water extraction method will clean your carpeting while leaving a very little residue behind. Most residential carpet cleaning service manufacturers recommend a professional cleaning every year to year and a half for optimal longevity.